In high school it was mandatory to do 40 hours of community service. I didnt know where to go or what I wanted to do to complete this, so I looked up Charitable Organizations in the phone book - yes, I am old enough that looking something up in the phone book was the go to before the internet! I saw Make a Wish listed and I remembered some commercials I had seen on TV, it seemed like a special organization. I started out as an office volunteer, but I got attached quickly and wanted to do more. Since then I have tried to participate in every opportunity that comes up from special events like the Port Stanley Light Display or Rock the Park, to speaking at fundraisers, and of course to Wish Granting, my favourite, it is a truly magical experience to participate in getting to know a wish child and helping to customize their wish experience. I have now been Volunteering for Make a Wish for almost 15 years. 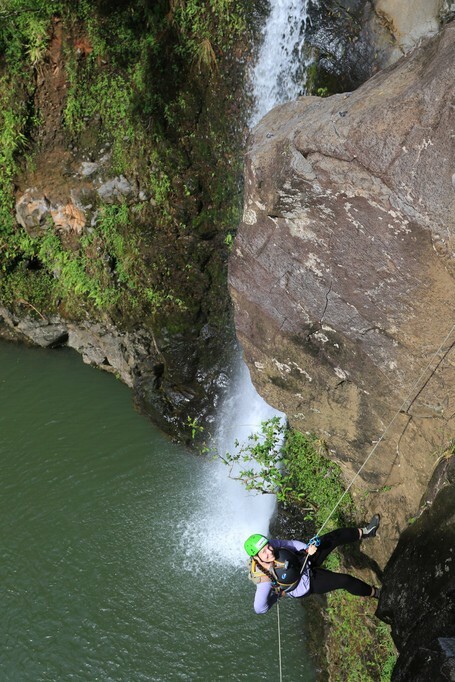 To prepare for this experience I decided to try some waterfall rappelling in Maui earlier this year. I was a bit nervous at first, but once I trusted the rope would hold me I was good to go lol. The heights were nowhere near the height of London's City Centre at 60 ft max, but it was an exciting experience. I am now truly looking forward to this challenge and hope to raise as much as possible to help a special child's wish come true! A wish come true helps children feel stronger, more energetic, more willing and able to battle their life-threatening medical condition. For many of them, it marks a turning point in their fight against their illnesses. You can help make a difference too! Your support will allow the Foundation to continue to create powerful wish experiences, improving a child’s state of mind, replacing fear with happiness and helping them to feel like a normal kid again. 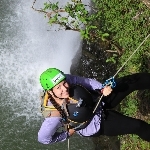 To learn more about Make-A-Wish® please visit www.makeawish.ca.